Home > Combat Sport > Boxing > Anthony Crolla, Ricky Hatton and the legacy of British underdogs in boxing. Tonight, British former lightweight world champion Anthony ‘million dollar’ Crolla will attempt to defuse the self styled ‘hi-tech’ Vasyl Lomachenko, Ring Magazine’s number one pound for pound fighter in the world. At odds of 1-66, a victory for the popular Mancunian would represent the most significant upset in British boxing history. It may not seem plausible, but there is some hope for Crolla when you delve into the rich history of British boxers upsetting the odds. Granted, none would match the scale of tonight’s audacious bid if Crolla can pull it off. Here are some examples of other British underdogs, some with a storybook ending, and others, not so much. Getting knocked down by a former cruiserweight, not beating any opponent of real note and generally being considered as much a comedy act as a genuine heavyweight championship contender, people weren’t exactly lining up to pick Tyson Fury to dethrone the longtime champ Wladimir Klitschko in 2015. Inspired by his gargantuan self confidence and ballerina feet, Fury surprised the masses by not just beating Klitschko over 12 rounds, but thoroughly dominating and embarrassing the Ukrainian to capture the lineal heavyweight championship of the world. Fury capped it off with a rousing rendition of Aerosmith’s ‘don’t wanna miss a thing’ to his partner after the decision went in his favour. A showman at heart, Fury gave British boxing fans one they would never forget on this night. Lloyd Honeyghan vs Donald Curry. By September 1986, American welterweight Donald Curry had established himself as one of the best in the business, amassing a 25-0 record. Enter Lloyd Honeyghan, the brit with a very respectable 27-0 record of his own, but the feeling was that this would simply be a victory lap for Curry to be crowned as undisputed champion. Honeyghan didn’t get the memo, as he not only beat Curry, but battered him around the ring before Curry retired on his stool after the 6th round. After the fight, the talk began of Curry struggling to make weight as an excuse of why he was not at his best, but this was inconsequential for Honeyghan and British boxing fans who would celebrate a new champion. The rise of Ricky Hatton captured the imagination of British boxing fans throughout the early 2000’s, but there were still legitimate questions about his viability as a top level welterweight. So when he was booked to fight the Russian born – Australian Kostya Tszyu, one of the top pound for pound fighters and dominant champions in the world, in June 2005 for the light-welterweight championship, there was reasonable skepticism. On the night, the champion looked old and slow against the relentless pace and body assault of the young and vibrant challenger. The 11th round would be the final frame that Tszyu saw in his illustrious career, retiring on his stool and beginning the coronation of Hatton as the king of the division and one of the biggest stars in boxing. 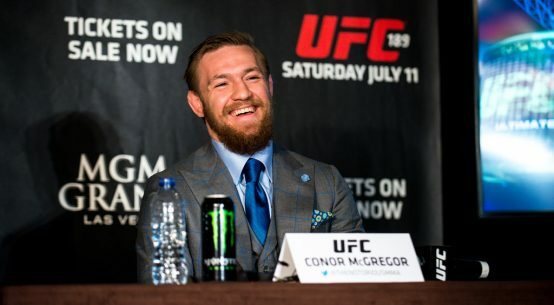 After 10 years in the UFC pioneering the sport as the greatest mixed martial artist Britain has ever produced, Michael Bisping could have been forgiven for thinking his chance at capturing the ultimate prize had faded. In June 2016, he finally got his chance, and it could hardly have come under worse circumstances. 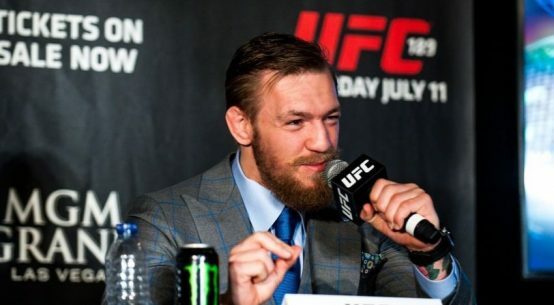 The original main event was a rematch between the middleweight champion Luke Rockhold and Chris Weidman, but after Weidman pulled out of the fight on May 17, the UFC scrambled to find a willing replacement on just 2 weeks notice. Up stepped Michael Bisping, with no training camp and fresh off the set of a movie in Canada, to face a man who dispatched him 2 years prior. So of course Bisping knocked Rockhold out cold in the first round, completing a dream 10 years in the making, becoming britain’s first UFC champion. However, underdogs are called that for a reason, here are some examples where it did not go to plan. 2 years after the greatest night of his career, Ricky Hatton suffered his first professional defeat at the hands of the best fighter on the planet Floyd Mayweather jr. The fact he had to climb a weight class, and some questionable officiating on the night saved Hatton from any embarrassment, as he put forward a perfectly respectable account of himself. However, in 2009, rumours of Hatton’s ill discipline regarding his weight gain between fights had began to surface. Meanwhile Manny Pacquiao, the Filipino phenom had been carving his way through multiple weight classes and some of the best fighters in the world. 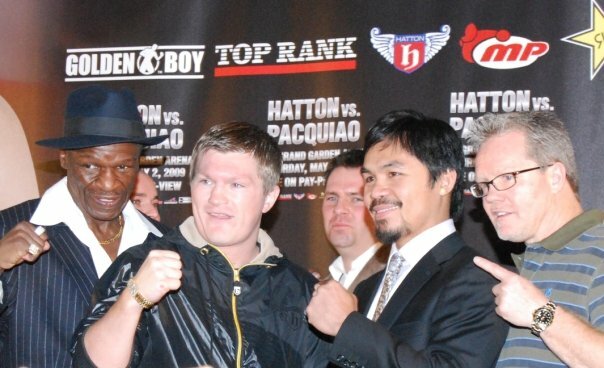 So when these two met in Las Vegas, the defending champ Hatton was not given much hope. Unfortunately for him and his massive contingent of British support, he was brutally knocked out by Pacquiao in the second round, effectively ending his career. Amir Khan vs Saul ‘Canelo’ Alvarez. At his best, Amir Khan dominated the light welterweight division with some of the fastest hands in the sport. But a reputation for a weak chin and questionable defense has plagued him for his whole career, with knockout losses to Breidis Prescott and Danny Garcia highlighting these deficiencies. So when he stepped up to light middleweight to face one of the most devastating punchers in Canelo Alvarez, there was little reason for optimism for the olympic silver medallist. The first few rounds provided plenty of optimism for the brit as he controlled the fight with a quick jab and excellent footwork. However true to form, in the sixth round Khan was lazy with his defense and Canelo landed a crushing overhand right that knocked Khan out cold and ended the fight. No one can ever question the bravery of Khan, but this fight always seemed like a tall task, and it proved to be so.